For reservation only, some people can hardly get tickets as they want. 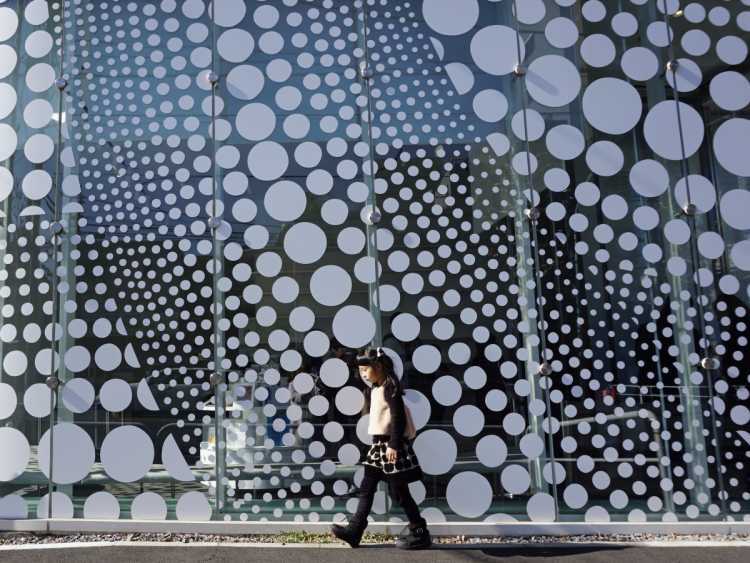 The building outside has that famous polka dots! We can get excited with only that. The museum is not so spacious, but it was not crowded because of the time reservation only. You can meet the golden pumpkin at the rooftop.